This 100% guaranteed departure tour is our leading package for experiencing both the past and present of Japan. Visiting Japan’s major cities and destinations, this 6 nights & 7 days Japan golden tour route is our most successful adventure. This tour offers a deep insight into Japan’s culture and history and is the best way to experience Japan’s most well-known historical and cultural destinations. Through our experienced guides, you will be learning about Japan’s hidden appeal during this 7-day tour visiting Tokyo, Hakone, Mount Fuji and Kyoto. You are the luckiest person to be embarking on a journey to learn about Japan’s beauty through our ‘Full Care Service.’ The tour does not include any compulsory visits to shopping centers. Upon arrival at Narita or Haneda International Airport, meet our representative with name board at airport exit. We will assist you to board an airport limousine bus to hotel. Note that there is no tour guide service on this day. Meet a tour guide at the lobby. After you on board, tour will start. You will be visiting Mt. Fuji and Hakone. When you visit Mt. Fuji, enjoy the awesome sight at the 5th Station. Take a ride on the Hakone Ropeway and Lake Ashi Boat Cruise. After the tour, return to your hotel and spend the rest of day free at leisure. Meet a tour guide at the lobby. 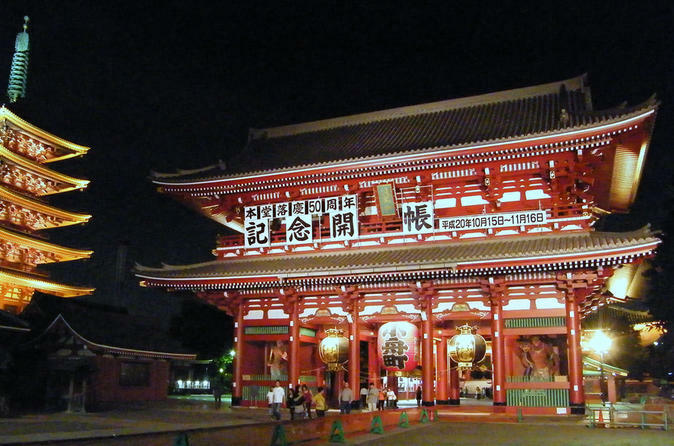 Visits to Asakusa Temple, where Sensoji, the most popular temple in Tokyo, is located in, and to Nakamise Shopping Street, featuring 80+ shops. After lunch, the tour will take you to the Imperial Palace where the Japanese emperor resides in, and Diver City and Toyota Mega Web in Odaiba. After the end of the tour and return to the hotel. After check out, you will be heading to Tokyo Station on own. At the Tokyo station, take the Shinkansen bullet train to Kyoto, where Japan’s traditions are still alive and flourishing. Upon arrival at Kyoto Station, transfer to hotel on own. (5min waling distance) After hotel check-in on own, free at leisure. Note that there is o tour guide assistance on this day. Meet a tour guide at the lobby. Visit Arashiyama and find tranquility in your heart as you walk the bamboo forest and the garden of Tenryu-ji Temple. Enjoy Kyoto’s lunch and visit Kinkaku-ji Temple and Kiyomizu-dera Temple. Next, visit the Gion District and see the beauty of Maikos in kimono. After you return to the hotel. Meet a tour guide at the lobby. Watch the Kimono Show at the Nishijin Textile Center and spend some quality time at Kitano Tenmangu Shrine, Daiunzan Ryoanji and Nijo Castle. The tour concludes at Fushimi Inari Taisha, where you take the most Japanese photo during the tour. After returning to the hotel.